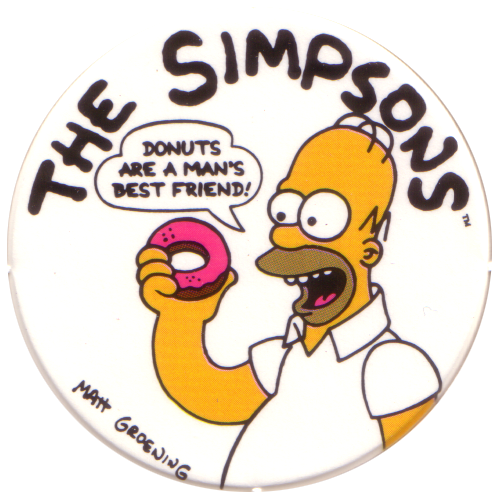 Info:These Simpsons milkcaps come cut but unpunched in a single sheet of card. 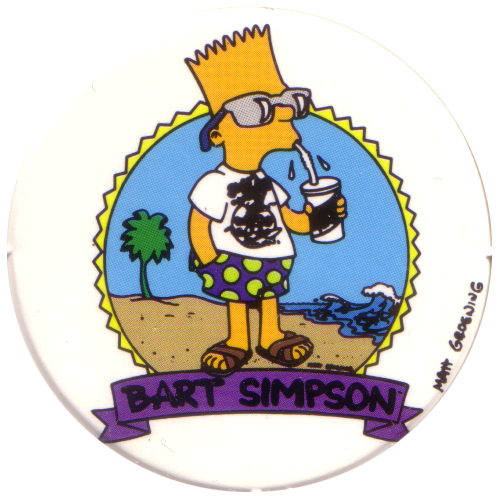 The caps are unnumbered, and the back of each cap just has copyright information. 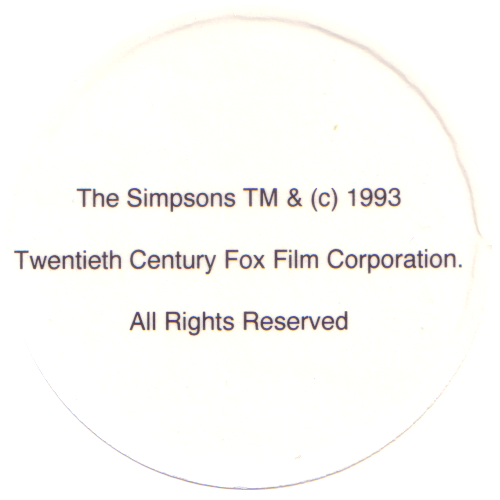 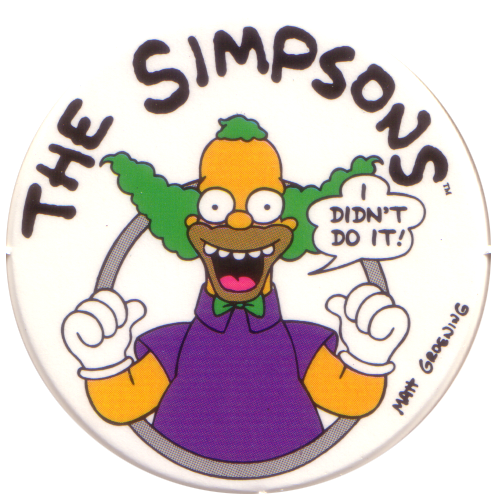 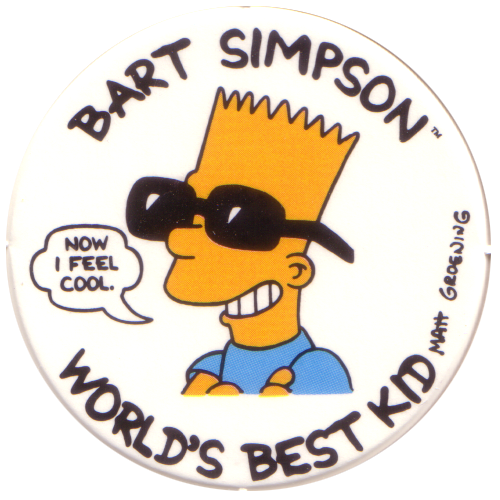 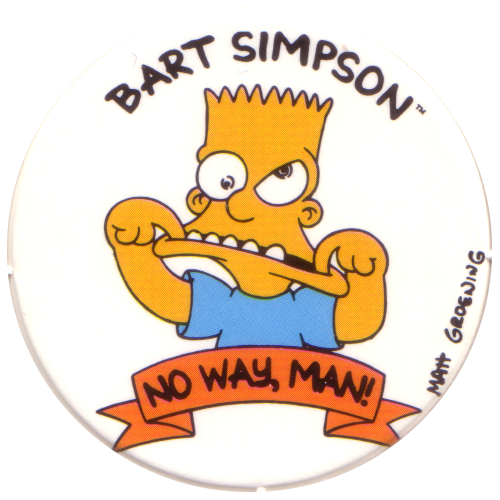 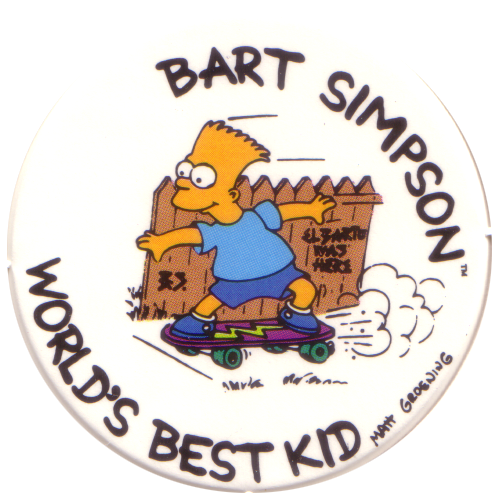 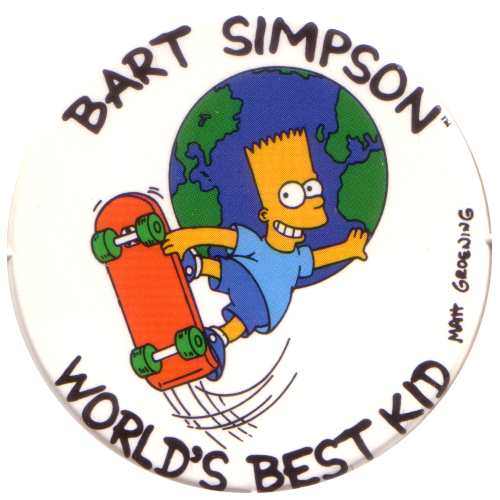 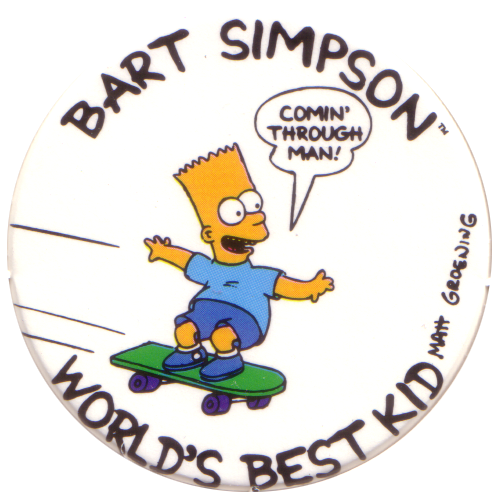 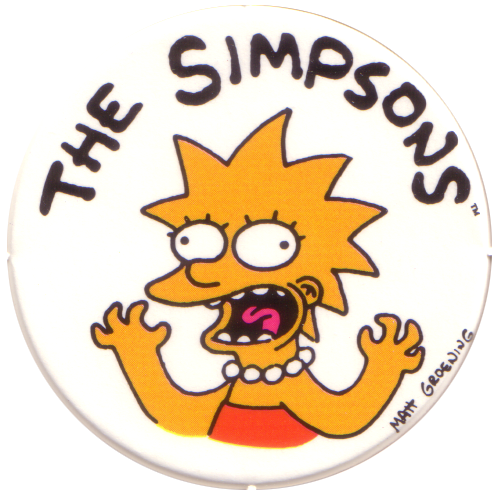 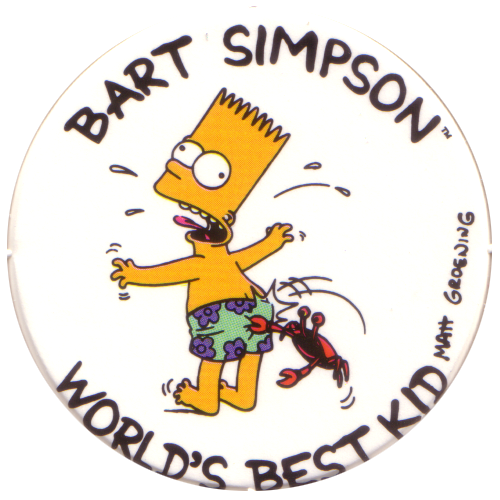 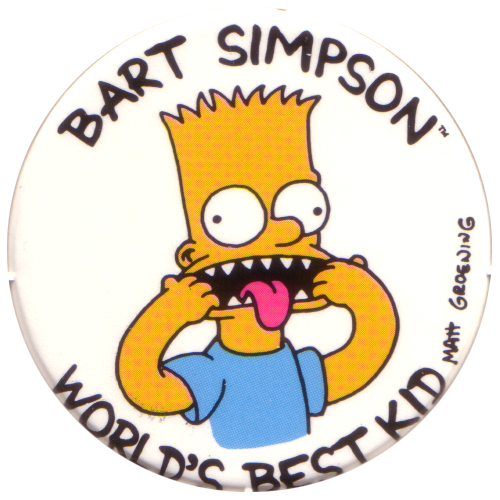 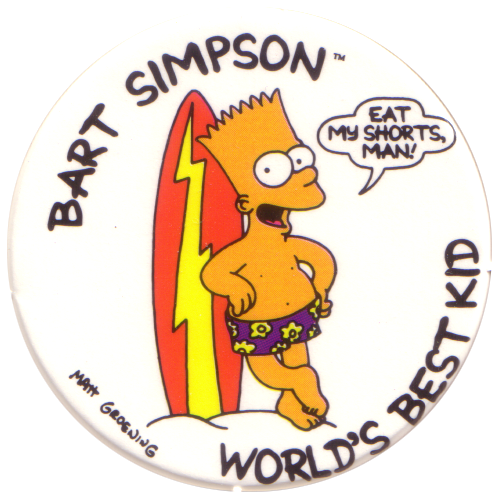 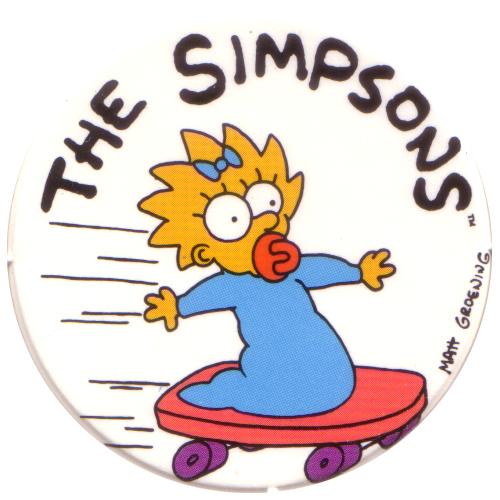 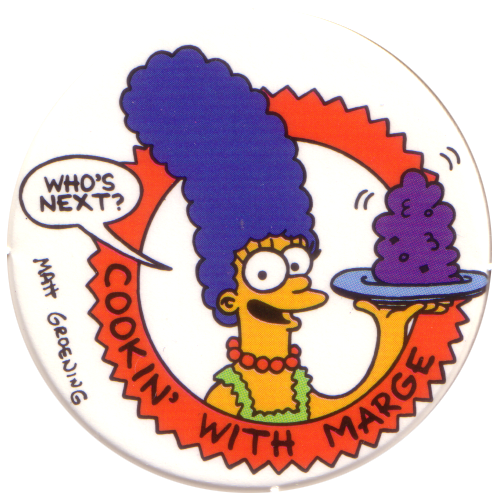 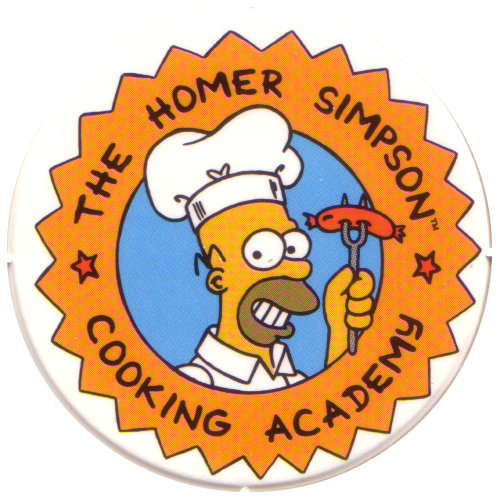 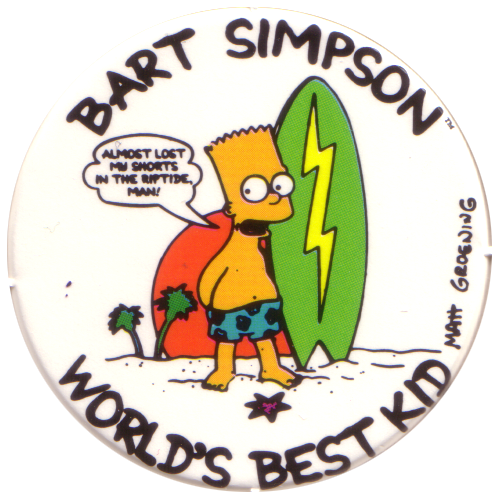 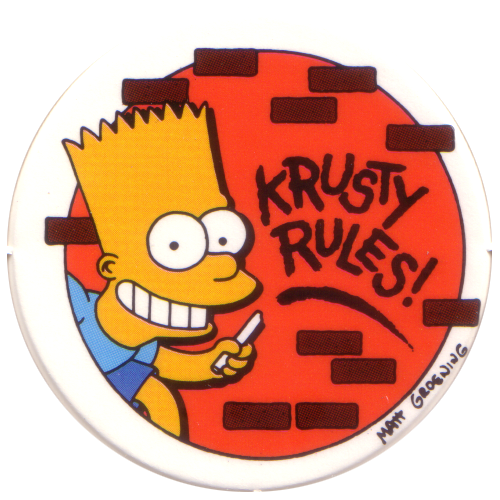 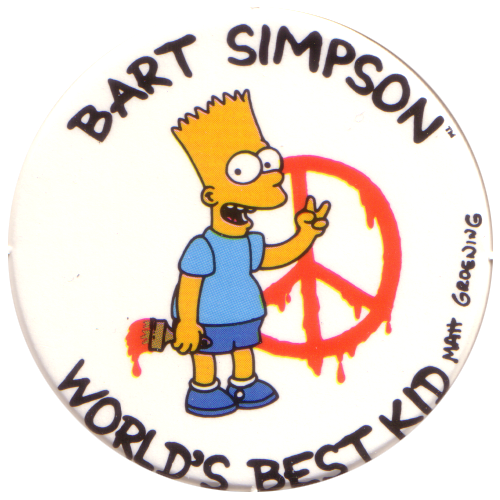 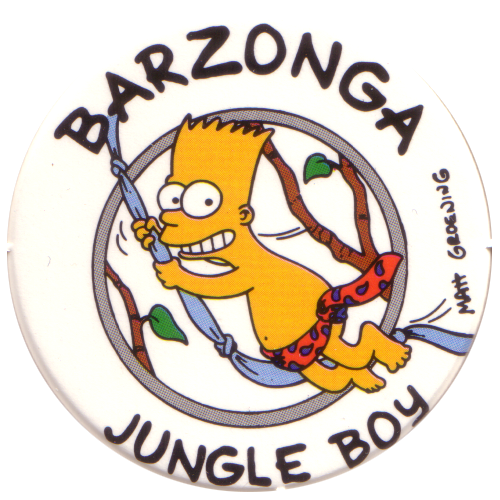 Most of these Simpsons pogs feature Bart Simpson, with the text 'Bart Simpson World's Best Kid'.